Last updated 19 March 2019 . By Olivia Cheves. Delicious eats await you just beyond the Blackwall Tunnel this summer. Looking to escape the big smoke this summer but worried you might starve without the options of our restaurant-littered capital? Well, you can stop that think because The Food Fest is back and it's just an M25 away. 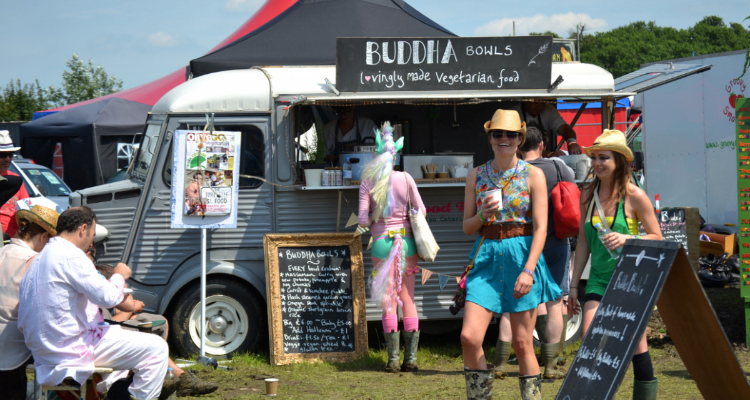 Held at the idyllic Lullingstone Castle, this festival of eats and treats is more than your average London food market, and from posh fish & chips to jerk chicken and steak, you'll be spoilt for choice at this two day edible extravaganza. Alongside a top-notch selection of food stalls and eating experiences, they'll also be laying on the entertainment with a trowel with a line up of unsigned talent to keep the tunes coming all day. And if you're looking to bring the kids, or your mate who still gets ID'd for Red Bull, there's a whole host of unique activities for them to get involved with, including vintage funfair rides, graffiti workshops and even a food fight - so, have fun letting that back in the car. The Food Fest takes place on Saturday 1st and Sunday 2nd of June at Lullingstone Castle, Dartford, Kent, DA4 0JA.